In the previous part of Internet of Things in the smart home, we discussed about the basic technical requirements, specifications and touched networking part. The devices in the smart home act independently, networked or both. Intelligence is intended to expand functions or introduce new functions into the already known devices, thus creating added value for the user. Energy Management in the Smart Home sees itself as a supporter of saving electricity and costs. Using smart home solutions, it is possible to have his heating and electricity consumption displayed more transparently and to be able to control it in a targeted manner. Automatic regulation of the heating temperature or switching off the power strips in the absence are just some of the possibilities. The control or adaptation of each radiator / device on the go via app connects the smart home & internet of things technology. Corporations develop some of their own smart home solutions based on energy management to comfort but also security. The topic of security today is a rapidly expanding and strongly represented application in the field of smart home, which includes not only individual security needs but also legal regulations. Home emergency systems are particularly important for the elderly, as these solutions have also integrated case sensors. In addition to the classic possibilities of video surveillance, motion detectors or window/door controls, smart home solutions offer more options with faster response times. The comfort component of the Smart Home is designed to make everyday life easier for people and reduce daily routine tasks. From Smart TVs, which not only show the TV program, but also allow the streaming of movies or video telephony. Self-contained vacuum cleaners, which independently clean the apartment at given times and give feedback. Washing machines, which can be controlled via smart phone app, to refrigerators, which know when a certain minimum stock of drinks/food is reached and then reordered independently or the heating/window control and adjusting the heat/ventilation in the home. In addition to the mentioned devices also partially or completely networked houses are offered, but which are in the high priced segment. However, Germany is still a long way off as a market for individualized mass production of smart homes. Ambient Assisted Living, which translates as assisted living, means helping people in need of assistance through technical solutions that enable them to be self-sufficient in their own home until a ripe old age, but also to improve their quality and comfortable lives. People in need of assistance have corresponding requirements, which must be covered by AAL solutions. The technology must be integrated into the existing spatial environment, must be easy to understand (intuitively), robust enough, durable and trouble-free. Data protection plays an important role in this, which includes the abuse. Individual complete solutions, which are designed and built according to customer requirements. This results in suitable solutions for the customer, some of which are made up of interconnections of different individual solutions. These solutions are usually designed for new buildings or renovations and cover the entire range of current and future applications. These solutions are very expensive and are partly in the six-digit euro range. Premium segment customers differ from luxury segment customers in that individual customization of solutions is more limited and planners and installers do not make the fixtures, but this is done by specialized electricians, but combinations of different solutions continue to be used. The volume market targets smart home features, which can also be bought by low budget customers. These solutions are mostly radio-based and are very suitable as retrofit rental apartments. These have the advantage of being able to be taken along when moving. An individualization is limited thereby and moves into the background. Smart Home “in parts” refers to rudimentary Smart Home features, such as Z.Bsp. controlling the TV via Smart Phone App, ie the smallest possible “Smart Home synergy effects” and is not consciously perceived by the users. In the next part of the article, we will discuss the perspectives of Internet of Things in the Smart Home. Continue reading third part of this series. This Article Has Been Shared 9205 Times! From the basic idea of ​​communication between cars, the concept of Hovering Data Cloud system is developed. It is related to telecom & IoT. 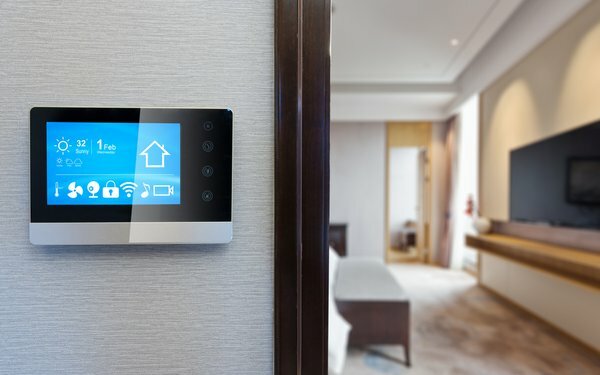 Cite this article as: Abhishek Ghosh, "Internet of Things in the Smart Home : Part II," in The Customize Windows, December 6, 2018, April 21, 2019, https://thecustomizewindows.com/2018/12/internet-of-things-in-the-smart-home-part-ii/.